These earrings are handmade by skilled artisans in parisian workshops. It is composed of two 24 karats gold plated brass loops, embroidered with gold chains. Alix B. d’Anthenay has chosen to bypass retailers in order to create and deliver products of higher quality. 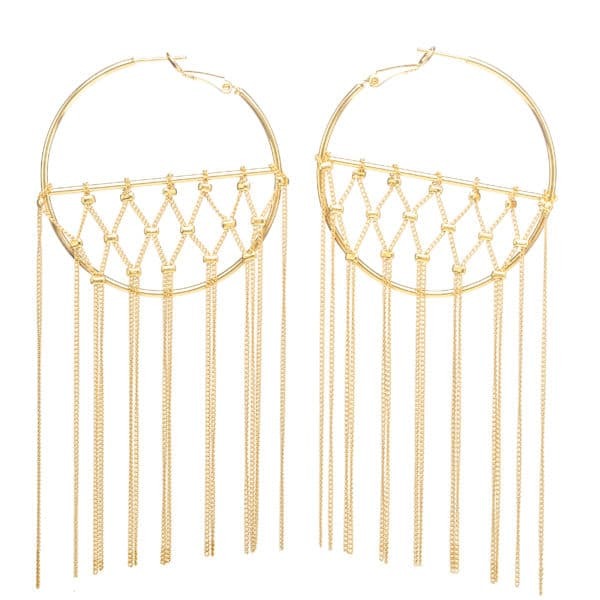 These earrings are gold plated by one the most renowned parisian company in the field. The loops, pearls ans chains are bought in Paris. They are gold plated and assembled by specialized artisans in Paris. The loops and pearls are 24 carats gold plated brass. Plating, in accordance with the legislation, is a layer of gold applied, of a thickness equal or superior to 3 microns. 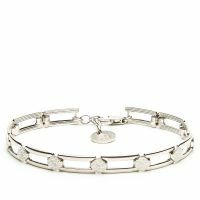 This Bracelet is embossed with a specific hallmark stamp, guaranteeing its plating and origin.